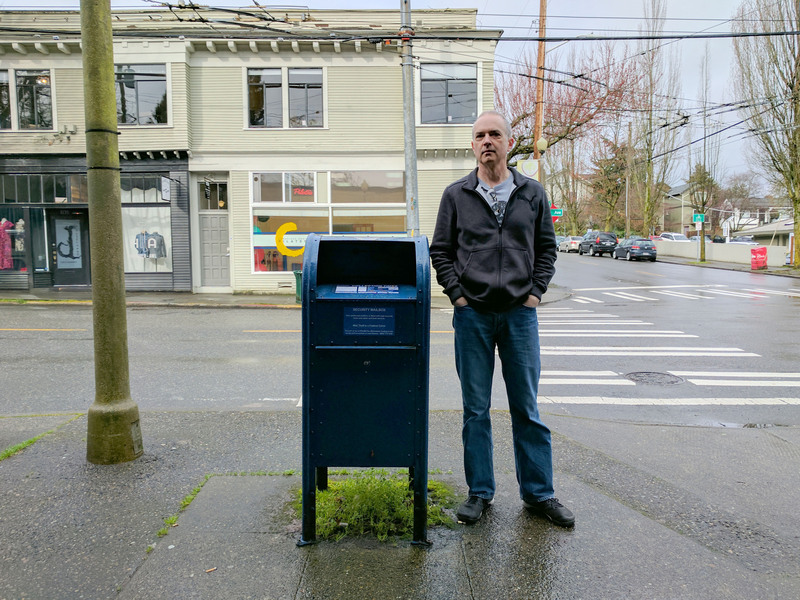 10) After the bitter disappointment I faced a couple days ago when I found that a mailbox had been lost to a demolition project, I knew I had to head over to Montlake to snap this box as soon as possible. A while back I heard that the grocery store on this spot was in danger of being torn down to create a staging area for the west end of the 520 bridge project. 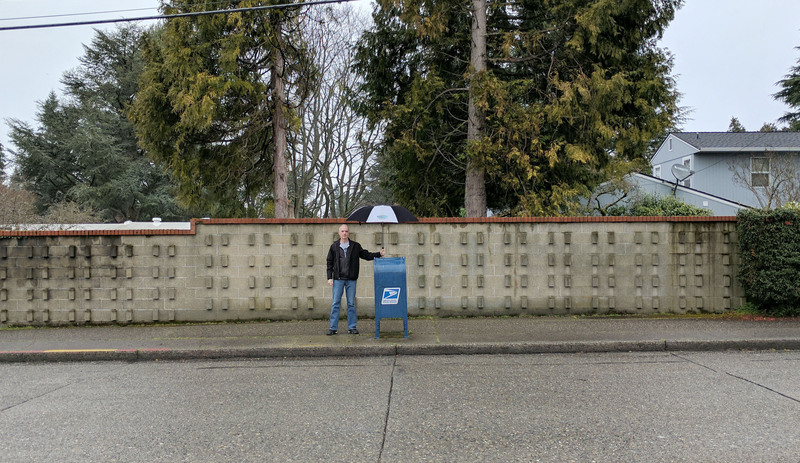 I don’t know if that’s still going to happen, but happily the box was there waiting for me at 22nd Ave E and E Roanoke when I arrived on this rainy Saturday morning. 11) I was feeling shy this morning so I decided to hide in the photo. You can’t see me. I’m totally hidden. If you think you see me, you’re wrong. 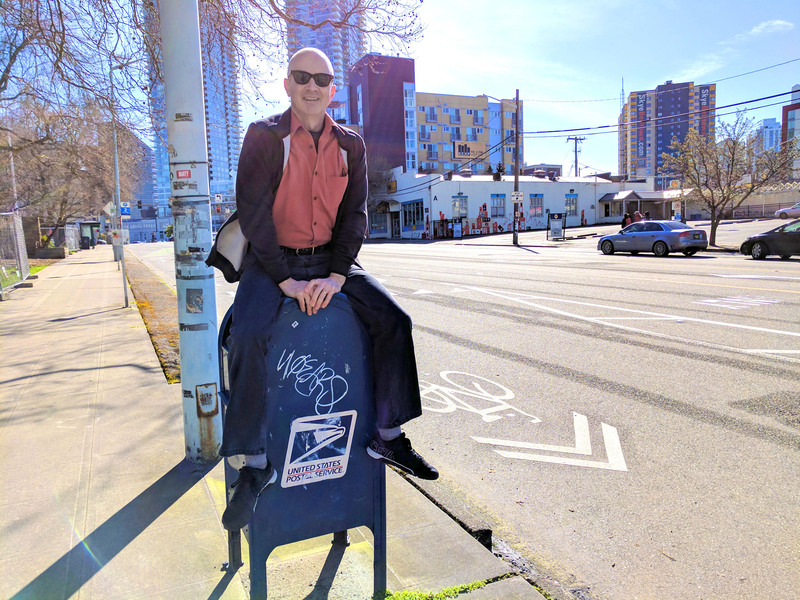 If you want to try to find me in person, you can head over to Beacon Hill and visit this box at the corner of Beacon Ave S and S Hanford Street, but I’m long gone. Whooosh. 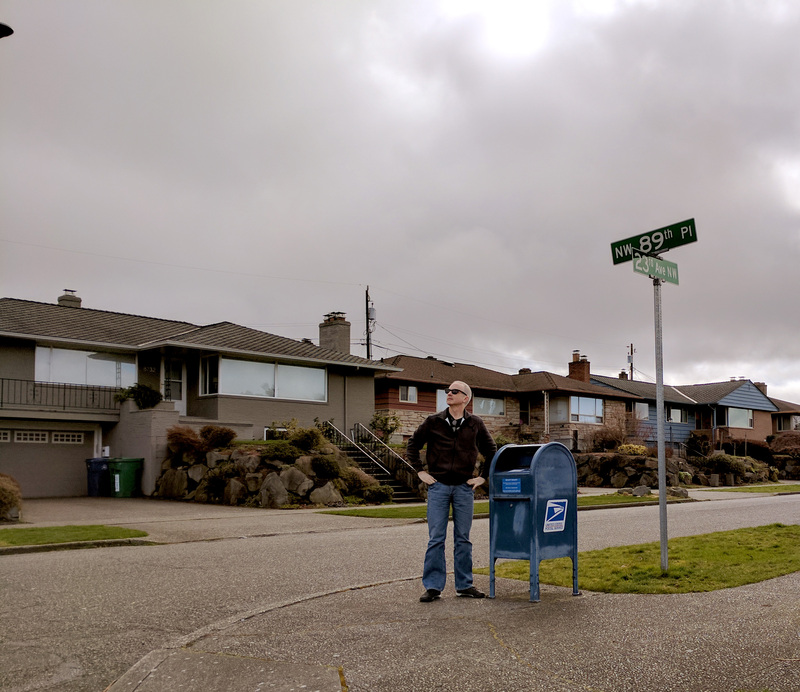 12) It was a rainy morning and no one — NO ONE — was out protecting this mailbox from the elements. Shameful. 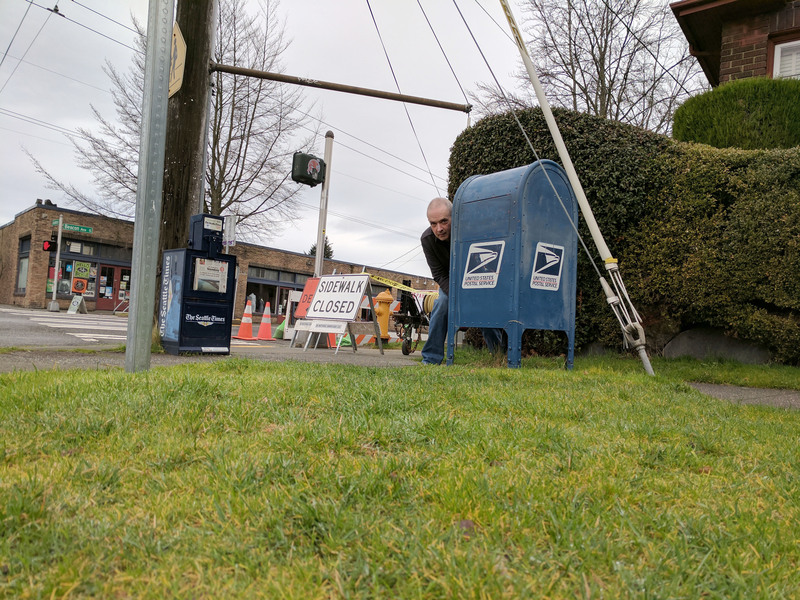 I really expected more from the residents of the Sand Point area, but since they cannot be trusted, please head over to NE 75th Street at 48th Ave NE with your umbrella. 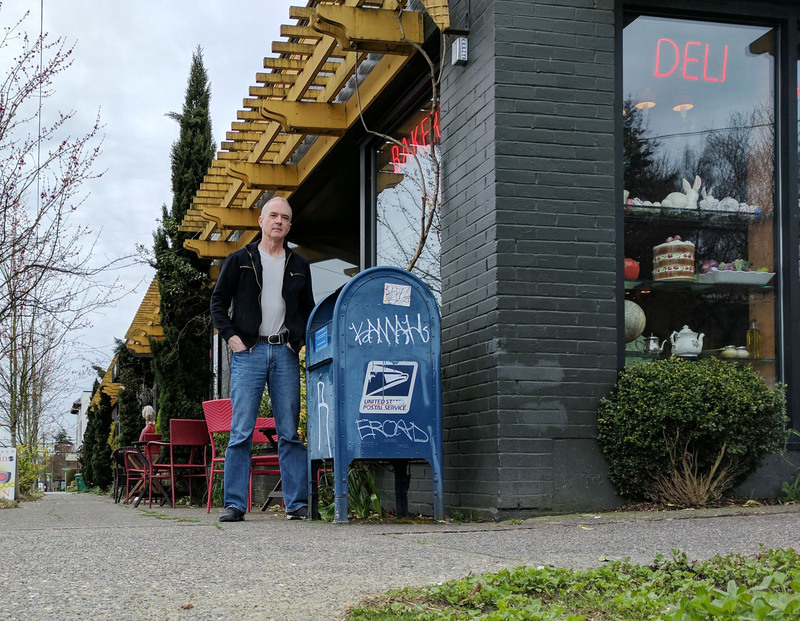 13) Madrona certainly is a lovely neighborhood, though it only contains a few mailboxes. This sturdy fella can be found at the intersection of E Union Street and 34th Avenue, should you want to stop by and say hello. 14) If it’s a double-wide snorkel box, there’s a good chance it’s living at a post office! That’s certainly the case with this one, residing at the PO in Georgetown on S Orcas Street. Fun fact: when I first moved to Seattle in the mid-80s, I worked in an office building right next door. I bet I mailed many letters in this very box. 15) For obvious reasons, I didn’t have much time to get this photo. 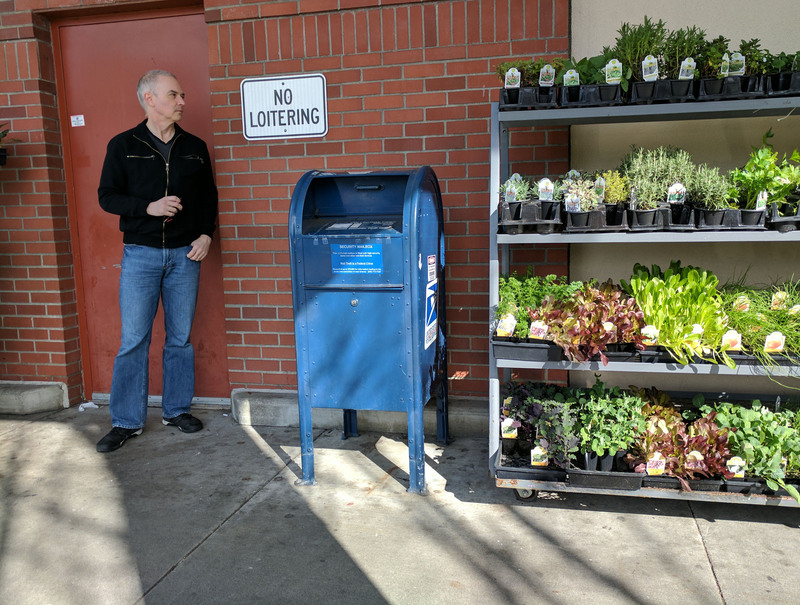 If you have some mailing to do and no time to waste, I might suggest using this box located at Fred Meyer on Lake City Way NE at NE 130th Street. 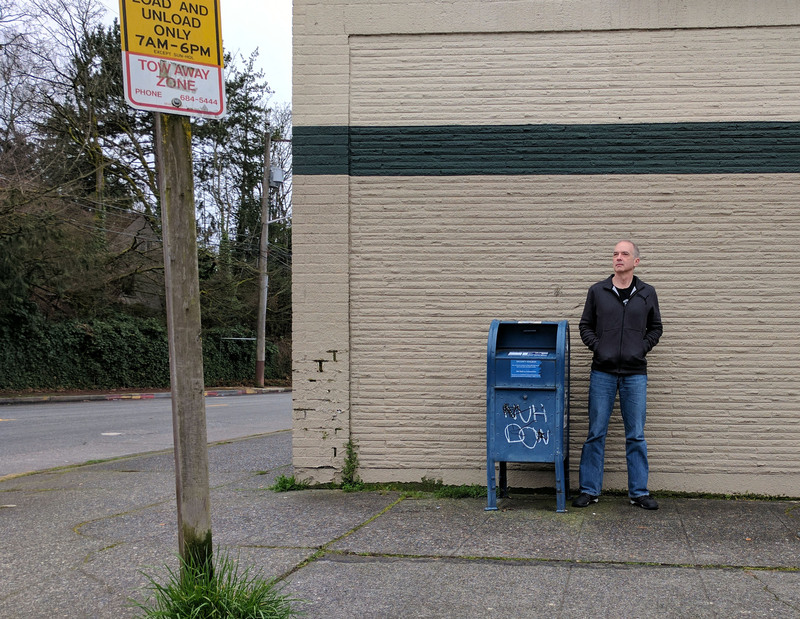 16) Here we are at the corner of 32 Ave NW and NW 65 Street in Ballard, and what a lovely corner it is. It’s a bit chilly for anyone to be sitting outside in those nice red chairs, but they look great nonetheless. 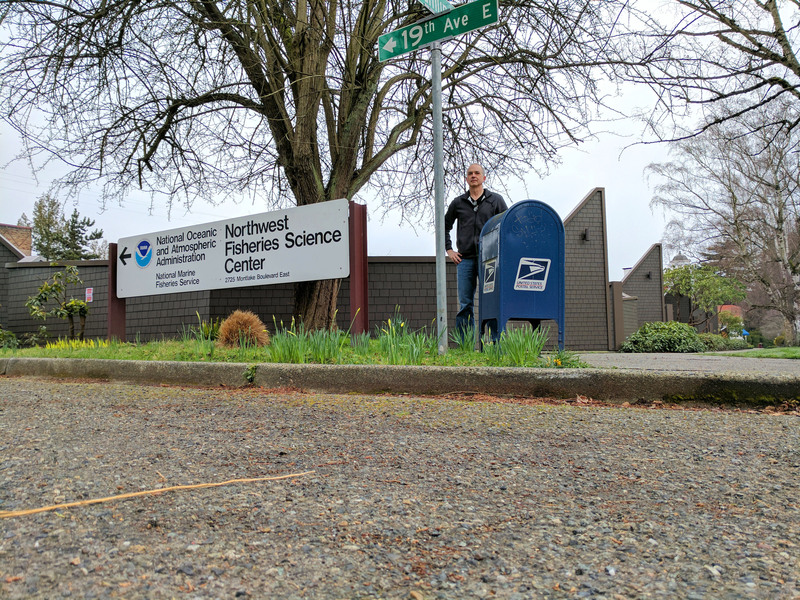 17) I think it’s absolutely fantastic that not only are they teaching fish how to do the sciences, but they’re also providing a handy mailbox so the fish can keep in touch with their families. 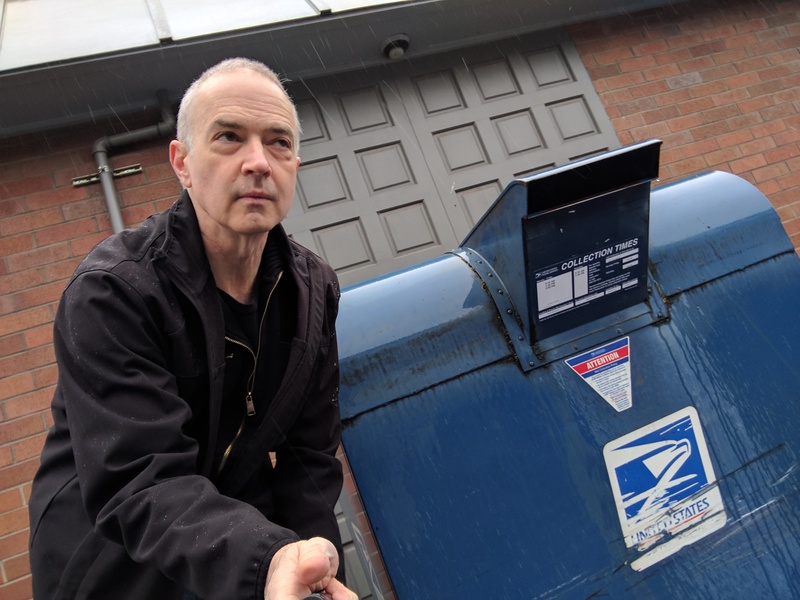 If you happen to be in the Montlake neighborhood, you can mail your plankton care packages from this box at the corner of E Hamlin and 19th Ave E.
18) It was a beautiful late winter Sunday when I found myself atop this sturdy box located across from the old KEXP studios on Dexter Ave N.
19) The skies were menacing the morning I visited the Olympic Manor neighborhood and found this box waiting at NW 89 Place and 23 Ave NW. Fun fact — We used to live near here and would frequently take the dog on walks through these streets. One thing that was impossible not to notice was how many lawns were impeccably groomed with the grass blades cut to about 1/2?. They reminded me of military buzz cuts.